When is a Fat Loss Diet Right For You? Although people are made in all shapes and sizes, there does come a time when your belly can become too big for your own good. In general, men with a waistline that measures 40 inches or moreand women whose waistline is 35 inches or larger are at greater risk for health problems.Dropping a few pounds of fat from their midsection can help these people avoid life-threatening health problems. In fact, losing just five to 10 percent of your weight can reduce the odds that you’ll suffer complications with your health. Continue reading to learn more about the benefits of a fat loss diet. 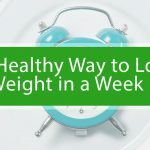 If you’ve packed on a few extra pounds in recent months or years, you might be like a lot of other people and carry the extra weight around your midsection. It’s common for people who are overweight or obese to carry their extra weight in the belly area. While you may be eager to have six-pack abs or to reclaim the shape you were in when you attended high school, there’s no reason for you to have such aggressive goals. Simply dropping a few pounds from your midsections can yield meaningful health benefits. If you drop only five percent of your weight, you’ll enjoy improved blood sugar control. With there being a strong correlation between belly fat and the onset of diabetes, you can decrease the odds that you’ll develop diabetes when you drop some weight. While there isn’t much you can do to target fat loss in the belly area, following a fat loss diet and exercising can help decrease fat all over your body, including your tummy. Consuming more omega-3 fatty acids and vitamin C may reduce the circulation of stress hormones throughout your body, which might help limit the amount of fat your body stores around your belly. 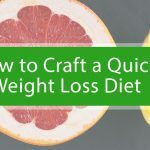 If you’re ready to lose fat while you lose weight, you may be tempted to try the latest diet craze. While that temptation is understandable, you should seek the help of the experts at Dr. Weight Loss of Atlanta instead. We’ll create a custom fat loss diet for you that will facilitate the loss of fat and weight in a healthy manner that will enable you to keep those extra pounds at bay permanently if you stick with the plan. To learn more about our fat loss diets and how effective they can be, contact Dr. Weight Loss of Atlanta now and schedule a free consultation.